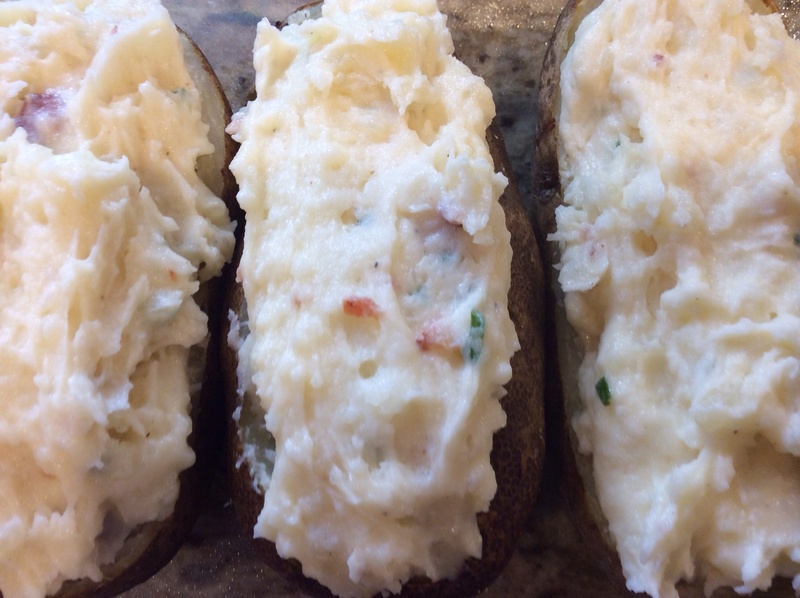 Twice baked potatoes…so ’80s but it was the very first dish I ever learned how to make and it was the very first dish I taught my daughter, Ashleigh, to make on her own….No, not gourmet, but delicious? For sure! Hubby is grillling some steaks tonight, the kids are home (yes, they are adults but still kids to me) and this is the perfect side dish! Season the potatoes with 1 tablespoon of the oil and salt. Place on a baking sheet and place in the oven. While potatoes are cooling, place bacon in a saucepan over medium heat and cook the bacon until crispy. Remove and drain on paper towels. 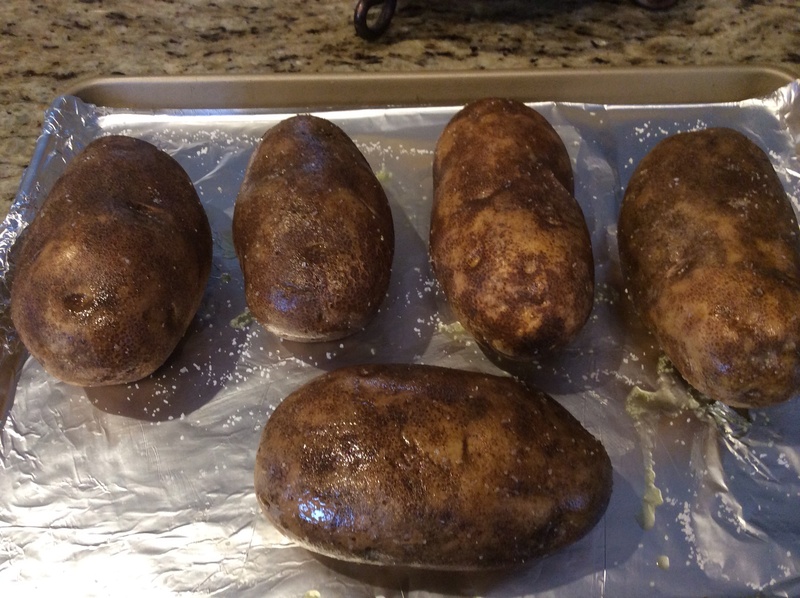 Slice 1/4 of the top off each of the potatoes. Using a spoon, scrape out the flesh of each potato into a mixing bowl…don’t forget to scrape the potato out of the 1/4 top, too! 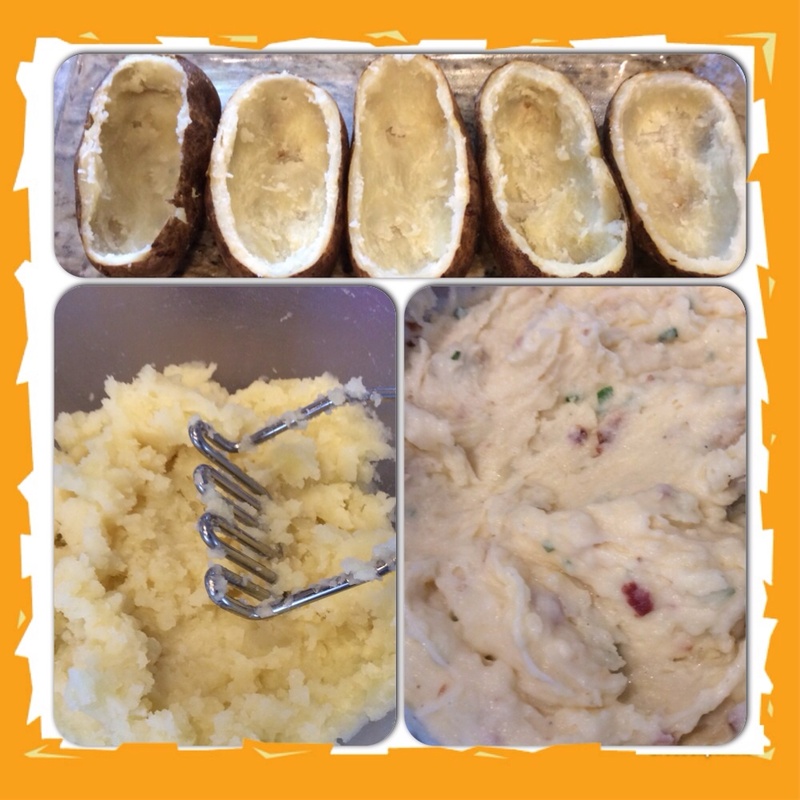 Using a hand held masher, mash the potatoes until smooth…I mash each time I add another potato. Add the butter, sour cream, milk, s cup and a half of the cheese, bacon, and the chives. Season with salt and pepper; mix well. 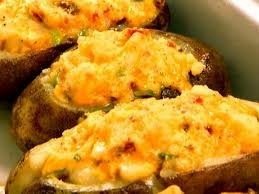 Spoon the potato mixture back into the potato shells. Top the potatoes with the remaining cheese and place back on the baking sheet and bake until the cheese melts, about 8 to 10 minutes. Ready to serve and I promise that there won’t be one bite left! Enjoy! ← Mustard….A Burn Remedy? Who Knew? !